Forum problems should be posted to the "Forum issues" section of the forums. Please use this e-mail address if you wish to submit an article or other content to this site. I will contact you directly by e-mail to sort out the details. Advertising banner space is available for selected products. 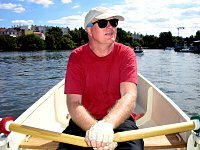 The contents and forum posts represent the opinion of their author and do not engage the responsibility of the publisher amateurboatbuilding.com.